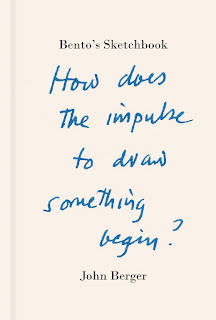 John Berger is one of a handful of author's whose work i buy sight-unseen (others are Eduardo Galeano, Ursula K. Le Guin and Neil Gaiman) and this new book is a gem. Having read Ways of Seeing when in CEGEP in Montreal in 1976 my capacity to "see" in this world is very much influenced by Berger's work. I'm only a third of the way in this one and it reads like one of my favourites of his And Our Faces, My Heart, Brief as Photos. His observations of art, literature and politics have long since inspired me to see the ever-present connections amongst all these - i.e. art cannot be understood without also understanding the context of politics. 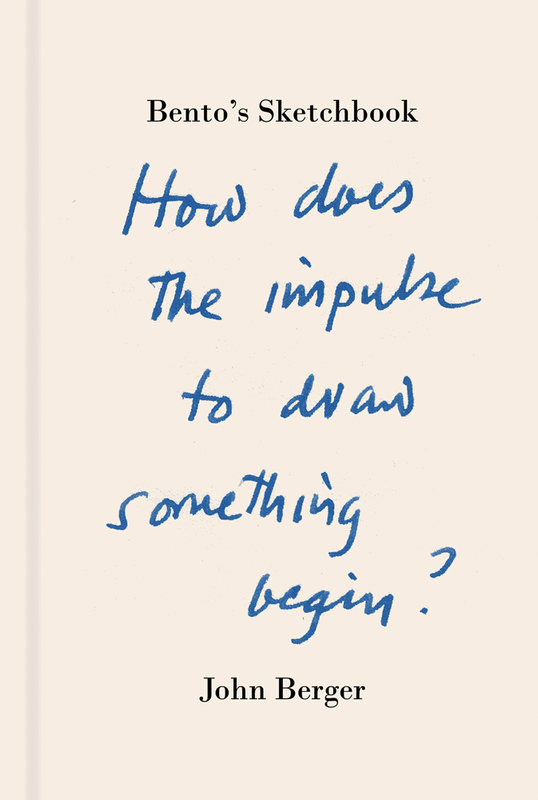 I'm surprised to learn In Bento's Sketchbook: How Does the Impulse to Draw Something Begin? that he didn't go to university. He's always struck me as a titan of an intellectual. Something for which a university-education would seem to be an essential. But there was a tradition of public intellectuals in the nineteenth and 20th Centuries that has, unfortunately, been eclipsed (if not supplanted) by the culture of punditry - a pale shadow - if glitzy and glammy - of what public intellectual life could be. Berger represents a kind of public intellectual that we have little of in North America but which seems to thrive still in France (where Berger has lived for 35 years) and where the death of intellectuals is front page news (as when Pierre Bourdieu passed away some years ago). Along with many others I sent a small contribution: a little portrait in charcoal of the Subcomandante Marcos which I had made in the Chiapas, southeast Mexico, around Christmas 2007. He, I, two Zapatista comandantes and two children are taking it easy in a log cabin on the outskirts of the town of San Cristóbal de Las Casas. We’ve written letters to each other, Marcos and I, we’ve spoken together from the same platform, but we’ve never before sat face to face in private. He knows I’d like to draw him. I know he won’t take off his mask. We could talk about the forthcoming Mexican elections or about peasants as a class of survivors and we don’t. A strange quietude affects us both. We smile. I watch him and I have no sense of urgency about drawing him. It’s as if we’ve spent countless days together, as if everything is unremarkably familiar and requires no action. Finally I open my sketchbook and pick up a stick of charcoal. I see his low brow, his two eyes, the bridge of his nose. The rest is concealed by ski-mask and cap. I let the charcoal, held between my thumb and two fingers, draw, as if reading by touch some kind of braille. The drawing stops. I blow fixative onto it so it won’t smudge. The log cabin smells of the alcohol of the fixative. In the second drawing his right hand comes up to touch the cheek of his mask, a large hand splayed out, with pain between its fingers. The pain of solitude. The solitude of an entire people over the last half millennium. Later a third drawing starts. Two eyes examining me. The presumed undulation of a smile. He is smoking his pipe. Smoking a pipe, or watching a companion smoking a pipe, is another way of letting time pass, of doing nothing. I fix the drawing. The next drawing, the fourth, is about two men looking hard at one another. Each in his own manner. Maybe the four are not proper drawings but simply sketch maps of an encounter. Maps that may make it less likely to get lost. A question of hope. It was one of these maps that I gave to the Helen Bamber Foundation. Apparently the bidding for it was prolonged and fierce. The bidders were competing to give money to a cause in which they believed, and, in exchange, they hoped to get a little closer to a visionary political thinker, sheltering in the mountains of south-east Mexico. The money the drawing fetched at the auction will help to buy medicines, care, counsellors, nurses, lawyers for Sara or Hamid or Gulsen or Xin . . .
We who draw do so not only to make something observed visible to others, but also to accompany something invisible to its incalculable destination.